After fighting through the legendary traffic of Monday morning rush hour in southern California, we were relieved to be turning off of a busy street in Oceanside, CA. We were also confused. Double checking the address we'd entered into our phone's often flaky GPS, we confirmed we were in the right spot. But it was a parking lot. A parking lot in the middle of a neighborhood north of San Diego. We were looking for something a bit, well, greener. We tentatively pulled around behind a building, and there it was. A hand-painted sign reading “welcome to our farm” let us know we were in the right spot. Surrounded by apartments, buildings, concrete, and pavement, an urban oasis was hiding. What amounts to a few city plots, a couple of acres at most, is enough green space to house a garden that is capable of producing 5,000 lbs of fresh fruits and vegetables. Food that is grown for the child development center kitchens in the area. Food that is hyper-local and that brings nutritious foods to preschool children from low to middle class families. Bianca, the garden manager, greeted us with a welcoming grin, and presumably because of our travels, labeled us "rad." With that endorsement, and some basic instruction, we were ready to work, hands in the dirt, and in our element. Despite the surroundings being apartments, churches, and offices instead of of barns and haystacks, this was undeniably a farm. The broccoli wasn't interested in the scenery, just the health of the soil. The beets weren't complaining about traffic. Instead, all of the crops were holding their leaves high, testifying to this radical form of farming: the urban garden. At Community Roots Farm, this hidden pastoral scene is more than a place to grow food. It's a place to grow a community. The gardens provide opportunities for volunteers, families, and children to learn where their food comes from, and how to grow it. An art that is lost in modern farming. It's a place where residents can meet and engage with their neighbors. An art that is lost in modern suburbia. Community, teaching, growing, and sharing. 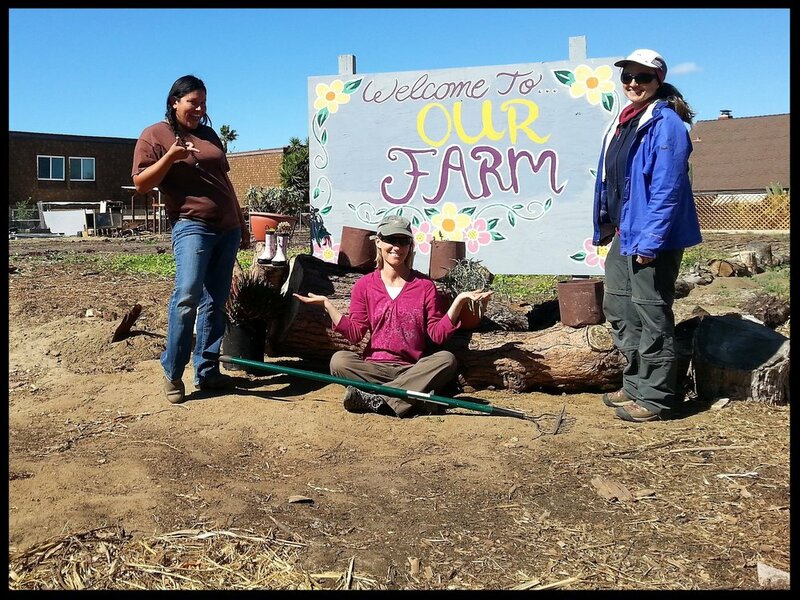 By returning to these original tenets of farming, while bringing them into the modern urban environment, Community Roots it's creating a blueprint for a sustainable future. All across our cities, possible farms lay fallow, disguised as empty lots. Untold amounts of food are being denied their existence by useless decorative grasses. We're wasting our time and resources cleaning up trash from abandoned fields. We're wasting money and water growing something that we'll just have to begrudgingly spend time and gas on cutting down each week. The modern lawn is preposterous. Grow food instead. Grow flowers for bees. Stop spraying poison around your house to kill a few little yellow flowers. Dandelions and clover are not weeds. They're beautiful. Become a living embodiment of the very definitions of a radical.